The broad objective of the study was to conduct the performance analysis of the various departments of ONE Bank Limited, Gulshan Branch over the years of its operation in the Commercial Banking sector in Bangladesh. The specific objectives identified are to relate theoretical knowledge with practical experience in several functions of the bank. Identify and evaluate different functional services offered by the bank to its clients. The process and the personnel involved in the various departments of the bank, to know about the pattern of the clients who are undertaking taking the services from the bank. Analyze the financial performance of the various departments of ONE Bank Limited, Gulshan Branch over the years of banking operations. The influence of Marketing Strategies in the operations of ONE Bank Limited, Gulshan Branch and analyze the possible Internal Factors (Strengths and Weaknesses) and External Factors (Opportunities and Threats) for ONE Bank Limited. ONE Bank Limited, a growing private sector commercial bank started its operations from May 1999 and have been progressing throughout the years of operations in Bangladesh. Since its establishment ONE Bank Limited has opened 26 branches in different cities such as Dhaka, Chittagong, Sylhet, Noakhali and in many other commercial areas in Bangladesh. In the near future, more branches are to be inaugurated to provide better quality of banking service to the customers. This internship report is focused on the various departments of ONE Bank Limited, Gulshan Branch. Gulshan Branch one of the important branches of OBL has been operating with all the functional units or departments, which a most concerned branch requires to have. It has been successful in handling all the departments well enough and the clients are getting the maximum benefits from the service given through the Gulshan Branch. The branch includes departments which follow the activities of General Banking, Retail Banking, Foreign Exchange and Credit facilities to the clients rendering the required services. On the basis of convincing reasons, ONE Bank Limited management believes that in the coming years the Bank will try its level best to sustain its earning capacity and maintain a steady growth. With the current performance of the Bank and with little improvement here and they will certainly make ONE Bank Limited one of the best Private Bank in Bangladesh in the near future. The Internship program is an integral part of the BBA program that all the students have to undergo of American International University – Bangladesh (AIUB). The students are sent to various organizations where they are assigned projects. At the end of the program, the internships are required to place the accomplishments and findings of the project through the writing of the internship report covering the relevant topics. During this program, supervisor guides each student – one from the university and the other from the organization. This report is the result of a 10 weeks (June03 – August 09, 2007) internship program in ONE Bank Limited, Gulshan Branch. This report contains Introduction about the report in Chapter 1; Overview of ONE Bank Limited in Chapter 2; The Analysis and the description of the different departmental activities of ONE Bank Limited, Gulshan Branch. in Chapter 3; The Findings of the different departments in Chapter 4; SWOT Analysis and SPACE Matrix for ONE Bank Limited in Chapter 5; Recommendations in Chapter 6; Conclusion in Chapter 7. The topic of the report has been consulted & directed by the internship supervisor from American International University – Bangladesh (AIUB). Banking sector, considered as ever growing child, in any country plays a pivotal role in setting the economy in motion and in its development process, while the banking structure -the number and size distribution of banks in a particular locality and the relative market power of specific banking institutions determines the degree of competition, efficiency and performance level of the banking industry. Bangladesh’s banking sector consists of Central Bank (named as Bangladesh Bank), Commercial Banks, Development Banks and Specialized Financial Institutions. The Commercial Banks comprise of Nationalized Commercial Banks (NCB), Local Private Banks, Foreign Private Banks, and Islamic Banks. In recent years, it is observed a mushroom growth in the banking sector in Bangladesh. The very active and lively presence of private sector has stirred competition among the traditional Commercial Banks. The shadow of fierce competition in banking industry can be observed through the recent achievement of the Private Commercial Banks. The competition to pursue clients and imitate one another is so intense that one bank lures efficient staff of another bank offering higher facilities to get better edge. Private Commercial Banks often introduce new and diversified financial products to provide wider option to customers. Without having an effective customer base, it becomes difficult for any bank to compete and sustain in the competitive market for the banking services. In order to retain and attract new customers towards any particular bank, the bank management needs to have a clear operational efficiency and must thoroughly analyze the scopes for further development. Therefore it is a key area for the commercial banks to closely monitor their performance level, which comprises the functional units, that provides services to its clients. So, taking the opportunity to highlight the analysis of the performance of the different functional units and prepare the study for my internship, I was allowed to share the practical experience with ONE Bank Limited, Gulshan Branch. The study was conducted on the various departments of ONE Bank Limited, Gulshan Branch. Gulshan Branch of ONE Bank Limited is considered to be one of their prior concerned branches, as there are many business and financial institutions located in the adjacent areas near Gulshan. Therefore, the activities carried out by the personnel of the various departments needs to be well acquainted with the customer oriented services. So, being a business graduate it was challenging experience for me to concentrate on customer services being provided by ONE Bank Limited. Meeting the customer requirements with the well-maintained operations of the departments was figured out and analyzed. Apart from the educational knowledge, the study put extra weight regarding the practical field and real life activities followed in the bank. Moreover, the study carried out also added value to the technical mechanisms and operations of the OBL. Along with my experience, the bank will be able to identify their flow of operations and can identify in which functional departments, the bank needs to put extra concentration so that the operations are well acquainted with the desired services offered by the bank to its clients. The basic scope of conducting this study is to analyze the performance of various departments of ONE Bank Limited considering the Gulshan Branch. Through investigation and analysis of the respective departments over the years of operation can highlight the banks performance when compared to other commercial banks operating in the country. Due to modern concept in the banking operations are being practiced by different banks, the banking arena is considered to be very competitive. Therefore in keeping up with the performance through customer oriented services, ONE Bank Limited must be aware of its total operation procedure which can be determined by the performance of the respective departments. In this research work, the overall view of the banking system, its history and mechanism, policies and appraisal of ONE Bank Limited and other areas of activity is extensively analyzed and the findings is clarified along with in depth study. The main part of the study covers the General Banking, operational scenario of Credit Department, Foreign Exchange, Remittance, Retail Banking Departments of ONE Bank Limited, Gulshan Branch. This will eventually refer that how the bank help the customers securing their cash and assets, getting credit facility, exporting and importing the goods and how it remits money of the foreign clients, etc. Relate theoretical knowledge with practical experience in several functions of the bank. Identify and evaluate different functional services offered by the bank to its clients. 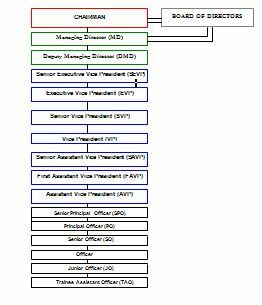 The process and the personnel involved in the various departments of the bank. To know about the pattern of the clients who are taking the services from the bank. Limited, Gulshan Branch over the years of banking operations. Factors (Opportunities and Threats) for ONE Bank Limited. The primary information was gathered through interviews, observation and group discussion. The primary data are collected from all the departments of ONE Bank Limited, Gulshan Branch by interviewing personnel of the respective departments. The heads of the departments or senior executives have been interviewed. However, the analysis and the explanation are the authors’ own. The secondary information was gathered through Annual Reports, Periodic Publication of the Bank, Bangladesh Accounting Standards, General Banking Manuals, Financial Statements of the banks, websites, etc. The data of the study are based on a review of existing brochures, documents and database of ONE Bank Limited. The sampling procedure was conducted on the Deliberate Sampling method, where the respondents and the interviewees are considered on my convenience and priority. In order to carry out the research work, I focused on taking the interviews of the Personnel involved in the different departments, Manager and Senior Level Employees, Business Clients. The collected data was processed through computer encoding as well as manually, depending on the nature of the query being solved. The processed data was being analyzed. Finally, on the basis of the analysis results, the study concluded the answers to the research objectives for the final stage of the study and the report preparation. Æ The interviewees, who are the personnel involved in the various departments of the bank, may not be well acquainted with the formal procedures of the research work. The respondents may be biased on certain issues that hamper the total evaluation of the research work. Æ The study conducted can be hampered, as the total evaluation of the industry cannot be covered in a short period of time. In the cumulative time period of 10 weeks the actual phenomenon on the performance of the various departments of the bank can just be highlighted and some issues were overlooked. Æ A structured filing procedure is often neglected which also poses difficulty in understanding the sequential procedure. Æ The personnel of the bank are usually busy with their daily activities and routine tasks; therefore interacting with them during their office hours was difficult sometimes. Although most of the officers were very helpful and friendly but as because they have been busy with their works, they could not give much time to light up my knowledge about the Bank’s activities. Æ Lack of proper books, journals and articles available for the banks, sometimes created limitations for me to understand the banking terms and conditions. Æ The banking policies and manuals of OBL are of confidential in nature and thus it is difficult to collect the necessary literature and documents within this short time. None the less, I tried my level best to make this report a good one and despite of many limitations in my approach, I expect that the reader of this report will have a broader view and idea about the different services and the performance rendered of the different departments of ONE Bank Limited concerning the Gulshan Branch. ONE Bank Limited was incorporated in May 1999 With the Registrar of Joint Stock Companies under the Companies Act. 1994, as a commercial bank in the private sector. The Bank is pledge-bound to serve the customers and the community with utmost dedication. The prime focus is on efficiency, transparency, precision and motivation with the spirit and conviction to excel as ONE Bank Limited in both value and image. The name ‘ONE Bank’ is derived from the insight and long nourished feelings of the promoters to reach out to the people of all walks of life and progress together towards prosperity in a spirit of oneness. ONE Bank Limited is a private sector commercial bank dedicated in the business line of taking deposits from public through its various saving schemes and lending the fund in various sectors at a higher margin. However, due attention is given in respect of risk undertaking, risk hedging and if not appropriately hedged, reflection of the same in pricing. In the financing side, the bank’s major concentration is in trade finance covering about 20.88% of total financing as on YE2006 which is mainly a short-term investment. The banks financing concentrate in both, working capital finance and long-term finance. OBL has major concentration of financing in medium and large industries. Since the short-term finance carries low risk compared to long-term finance; the financing strategy of OBL will assist the bank to keep the risk at minimal. While financing the industrial sector, the major concentration of the bank appeared to be in the textile and RMG sector; both the above sectors cover 30.89% of the total portfolio. OBL also involved in cement construction and transport sector financing. In the investment portfolio, OBL have substantial investment in quoted and non-quoted shares of different organization including some very prospective financial institutions. The bank has shown its acumen in reducing its exposure from ship scrapping sector, steel re-rolling where the bank had investment earlier. With the increase in exposure to RMG, the bank has increased its non-funded business income substantially. With an age of only 8 years, the OBL has taken initiative to launch IT based banking products like ATM facilities, E-banking etc that are praiseworthy. At present OBL is operating 26 branches across Bangladesh, out of which 12 branches are in Dhaka and the remaining 14 branches are operating in different areas of the country. To establish ONE Bank Limited as a Role Model in the Banking Sector of Bangladesh and to meet the needs of the Customers, provide fulfillment for the People and create Shareholder Value. Constantly seek to better serve the valued Customers. Be pro-active in fulfilling the Social Responsibilities for the company. Review all business lines regularly and develop the Best Practices in the industry. Working environment to be supportive of Teamwork, enabling the Employees to perform to the very best of their abilities. The One Bank Limited (hereinafter called OBL) is a third generation private sector bank incorporated on May 12, 1999 as a public limited company under Companies Act 1994 and listed in Dhaka Stock Exchange (DSE) and Chittagong Stock Exchange (CSE). Capital and reserve of the bank as on 31st December, 2006 was Tk. 1,650 Million, which was Tk.1,307 Million in 2005. The paid up capital of the bank rose to Tk. 888 Million as on 31st December 2006. The bank raised the Statutory Reserve from Tk. 262 Million in 2005 to Tk. 381 Million in the year under review. At the end of December 31, 2006 the deposit of the ONE Bank Limited was Tk. 20,253 Million against Tk. 18,030 Million during the corresponding period of the year 2005. The growth in deposit is 31.42% compared to the previous year. The Loans and Advances of the Bank showed an average growth in 2006. The total loan and advances amounted to Tk. 15,681 Million as on 31st December 2006 against Tk.13,851 million in year 2005, which shows an increase of 13.21%. In the year 2005, the growth was more impressive of an increase of 44.09%. The International Trade constitutes major business activities conducted by ONE Bank Limited. The import business of the bank indicated a significant increase in the year. The import business during the year 2006 reached Tk. 21,601 Million against Tk. 17,435 Million of the year 2005, which reflects a growth of 24 %. Main import items were industrial raw materials, cement clinkers, yarn & fabrics for the RMG industry, vessels for scrapping, edible oil and customer items. The export business during the year 2006 was Tk 16,360 Million compared to Tk.11,916 Million in the previous year, which reflects a growth of 37.29% Planned and calculated thrust to finance the leading Ready Made Garments (RMG) units contributed towards improving the Bank’s performance in the export sector. The growth in export business can be further achieved but due to catastrophe in geographical arena, micro economic instability and the instable political condition made the growth slower than it was expected. The Topic Analysis and Description are subjected to the specific objectives that have been identified and based upon those criteria’s; these factors are evaluated in the perspective of various departments of ONE Bank Limited, Gulshan Branch. All business concerns earn a profit through selling either a product or a service. A bank does not produce any tangible product to sell but does offer a variety of financial services to its customers. General Banking is the starting point of all the banking operations. It is the department, which provides day-to-day services to the customers. Everyday it receives deposits from the customers and meets their demand for cash by honoring Cheques. It opens new accounts, remit funds, issue bank drafts and pay orders etc. Accepting deposits is one of the classic functions of Commercial Banks. The relationship between a banker and his customer begins with the opening of an account by the former in the name of the latter. Initially all the accounts are opened with a deposit of money by the customer and hence these accounts are called deposits accounts. Banker solicits deposits from the members of the public belonging to different lifestyles, engaged in numerous economic activities and having different financial status. There is one officer performing various functions in this department. The amount in accounts are payable on demand so it is called demand deposit account. Both individuals and businesses open this type of account. Frequent transactions are (deposits as well as withdrawal) allowed in this type of account. A Current A/C holder can draw checks on his account, any amount, and any numbers of times in a day as the balance in his account permits. ü A minimum balance of Tk. 5000/- has to be maintained. Bank has the right to change this minimum balance requirement. ü Account of Societies/Clubs etc. Individuals for savings purposes open this type of account. Current interest rate of these accounts is 7.5% per annum. Interest on SB Account is calculated and accrued monthly and credited to the account half yearly. Interest calculation is made for each month based on the lowest balance at credit of an account in that month. Another type of account is foreign currency account, where the individuals who live in abroad or works there can open an account in the Bank and send money from abroad on that account. While accepting these deposits, a contract is done between the bank and the customer. When the banker opens an account in the name of a customer, there arises a contract between the two. This contract will be a valid only when both the parties are competent to enter in contracts. As account opening initiates the fundamental relationship & since the banker has to deal with different kinds of persons with different legal status, OBL Officials remain very much careful about the competency of the customers. These are deposits, which are made with the bank for a fixed period specified in advance. The bank needs not to maintain cash reserve against these deposits and therefore, bank gives high rate of interest on such deposits. A FDR is issued to the depositor acknowledging receipt of the sum of money mentioned therein. It also contains the rate of interest and the date on which the deposit will fall due for payment. OBL offers FDR for different amounts at different interest rates for different period of time. In the receipt holders’ name and other particulars are kept as secrete documents on the bank. In the documents the name of nominee is also incorporated. If any holder of the receipt wishes to en-cash receipt before the maturity the bank usually do not pay the interest. But ONE Bank Limited, as goodwill pays a lump-sum amount of interest to the FDR holder. ü FDR (Fixed Deposit Receipt) no. In case of Fixed Deposit Account the bank does not have to maintain a cash reserve. So ONE Bank Limited offers a high interest rate in Fixed Deposit accounts. It is usually paid on maturity of the fixed deposit. OBL calculates interest at each maturity date and provision is made on that “Miscellaneous creditor expenditure payable accounts” is debited for the accrued interest. Rate of Interest varies depending on the period of maturity date as well as the amount. In case of a lost FDR, the customer is asked to record a GD (General Diary) in the nearest Police Station. After that, the customer has to furnish an Indemnity Bond to OBL. A duplicate FDR is then issued to the customer by the bank. The FDR becomes automatically renewed for like periods and amounts, unless this are withdrawn by the depositor or, the bank notifies the depositor in writing at least 15 days in advance of the original Or, any renewed maturity date (s) of its desire to terminate the account or change any term and condition of the account. In OBL, Limited companies, corporate groups, various other big companies, organizations, Government Departments keep money in STD accounts. Frequent withdrawal is discouraged and requires 7 days prior notice. STD Account opening procedure is similar to that of the saving account. Initial Account opening minimum amount requirement Tk. 2000. In Short Term Deposit account, the deposit should be kept for at least seven days to get interest. The interest offered for STD is less than that of savings deposit. 5% interest is paid on their deposit. The bank is benefited because they have to pay less interest and the customers are also benefited because anytime they can divert money. In OBL, usually customers give an instruction to the Bank that their current account will be debited whenever its deposited amount crosses a certain limit and this amount will be transferred to the STD account. It is said that, there is no banker customer relationship if there is no A/C of a person in that bank. By opening an A/C banker and customer create a contractual relationship. However, selection of customer for opening an account is very crucial for a Bank. 7) Putting specimen signatures in the specimen card. ü Letter of mandate authorizing another person/s to operate the A/C on behalf of the Account holder, where necessary. ü Name of authorized persons, designation, specimen signature card. ü Mandate if operation by third party is to be allowed. ü Account must be opened in the name of the firm. ü The firm should describe the names and addresses of all partners. ü Trade licence from city corporation is needed. ü Photocopy of Registration Certificate duly attested by Notary Public in case of a Registered Firm. ü Letter of Partnership duly signed by all the partners, in case of non-Registered Firm. ü Resolution signed by all the partners to open the A/C. ü Mandate as to operation of the A/C. ü Certified copy of Bye-laws & Regulations/ Constitution. ü Copy of Government approval (if registered). ü In case of death, A/C should be stopped until the club nominates another person. ü Trust deed is needed-for trustee. Fresh checkbook is issued to the account holder only against requisition on the prescribed requisition slip attached with the checkbook issued earlier, after proper verification of the signature of the account holder personally or to his duly authorized representative against proper acknowledgment. ü A customer who opened a new A/C initially deposits minimum required money in the account. ü Officer then sealed it with branch name. ü In-charge officer enters the number of the Cheque Book in Cheque Issue Register. ü Officer also entry the customer’s name and the account number in the same Register. ü Account number is then writing down on the face of the Cheque book and on every leaf of the Cheque book including Requisition Slip. ü The officer who has the signing authority signs in the leaf where the next requisition slip exists in the Cheque book. ü The name of the customer is also written down on the face of the Cheque book and on the Requisition slip. ü The word “Issued on” along with the date of issuance is written down on the requisition slip. ü Number of Cheque book and date of issuance is also written on the application form. ü Next, the customer is asked to sign in the Cheque book issue register. ü Then the respected Officer signs on the face of the requisition slip put his initial in the register and hand over the Cheque to the customer. Duplicate Cheque Book instead of lost one should be issued only when an A/C holder personally approaches the Bank with an application Letter of Indemnity in the prescribed Performa agreeing to indemnify the Bank for the lost Cheque Book. Fresh Cheque Book in lieu of lost one should be issued after verification of the signature of the Account holder from the Specimen signature card and on realization of required Excise duty only with prior approval of manager of the branch. Cheque series number of the new checkbook should be recorded in ledger card and signature card as usual. Series number of lost Cheque Book should be recorded in the stop payment register and caution should be exercised to guard against fraudulent payment. All the procedure for issuing a new Cheque book for old account is same as the procedure of new account. Only difference is those customers have to submit the requisition slip of the old Cheque book with date, signature and his/her address. Computer posting is then given to the requisition slip to know the position of account and to know how many leaf/leaves still not used. The number of new Cheque book is entered on the back of the old requisition slip and is signed by the officer. If the Cheque is handed over to any other person then the account holder the bank addressing the account holder with details of the Cheque book issues an acknowledgement slip. This acknowledgement slip must be signed by the account holder and returned to the bank. Otherwise the bank will not honor any Cheque from this Cheque book. At the end of the day all the requisition slips and application forms are sent to the computer section to give entry to these new Cheques. ü The customer submits an application mentioning the name of the branch to which he wants the account to be transferred. ü His signature cards, advice of new account and all relevant documents are sent to that branch through registered post. ü The balance standing at credit in customer’s account is sent to the other branch through Inter Branch Credit Advice (IBCA). ü No exchange should be charged on such transfer. ü Attention is also given in this connection. Upon the request of a customer, an account can be closed. After receiving an application from the customer to close an Account, some procedures are followed by a banker. The customer should be asked to draw the final Cheque for the amount standing to the credit of his A/C less the amount of closing and other incidental charges and surrender the unused Cheque leaves. The A/C should be debited for the account closing charges etc. and an authorized officer of the Bank should destroy unused Cheque leaves. In case of joint A/C, the application for closing the A/C should be signed by all the joint holders. ü There is a register for this purpose. It is kept by the authorized officer. ü The officer will see the condition of account and verify everything. ü In the ledger book, the officer will mark with red ink and the Cheque will not be paid. ü Effects not cleared May be present again. ü Full cover not received. ü Payment stopped by drawer. ü Payee’s endorsement irregular, require Bank’s confirmation. ü Drawer’s signature differs/ required. ü Alterations in date/figures/words require drawer’s full signature. ü Cheque is post dated/out of date/mutilated. ü Amount in words and figures differs. ü Crossed Cheque must be present through a bank. ü Clearing stamps required/requires cancellation. ü Addition to the discharge of Bank should be authenticating. ü Collecting Bank’s discharge irregular/required. But if the Cheque is dishonored due to insufficiency of funds, OBL inform the A/C holder immediately. ü First, the client comes to the counter with the Cheque and gives it to the officer in charge there. The officer checks whether there are two signatures on the back of the Cheque and checks his balance in the computer. After that the officer will give it to the cash in charge. ü Then the cash in charge verifies the signature from the signature card and permits the officer in computer to debit the client’s account by giving posting. A posted seal with teller number is given. ü Then the Cheque is given to the teller person and he after checking everything asks the drawer to give another signature on the back of the Cheque. ü If the signature matches with the one given previously then the teller will make payment keeping the paying Cheque with him while writing the denomination on the back of the Cheque. ü If the instrument is free of all kind of error the respected officer will ask the bearer to sign on the back of it. ü He will then put his/her initial beside the bearers’ signature. She/he will also sign it on its face, will write down the amount by red pen and will put on a scroll number from his/her scroll register. ü Then the Cheque will be sent to the cash counter. At the cash counter bearer will be asked again to sign on the back of the instrument. ü The cash officer will then enter the scroll number in his/her register and will pay the money to the bearer. ü At the end of the day these scroll numbers of the registers will be compared to ensure the correctness of the entries. ü At first the depositor fills up the Deposit in Slip. There are two types of deposit in slip in this branch. One for saving account and another for current account. ü After filling the required deposit in slip, depositor deposits the money. ü Officers at the cash counter receives the money, count it, enter the amount of money in the scroll register kept at the counter, seal the deposit in slip and sign on it with date. ü Then this slip is passed to another officer who enters the scroll number given by the cash counter in his/her register along with the amount of the money, sign the slip and keep the banks’ part of the slip. Other part is given to the depositor. ü All deposits of saving account are maintained by one officer and other accounts by another officer. ü At the end of the day entries of both of these registers are cross checked with the register kept at the cash counter to see whether the transactions are correct or not. Those documents that are enter in the branch or exit of the branch must go through this section. At first recording is required whether it is Inward or Outward Registered/Unregistered letters. Then letters are disbursed to their respective destination. Inward letters are firstly segmented according to their different sections and after that an entry is given to the Inward Register book. Among different services rendered by a Commercial Bank to its customers, Remittance facilities are very important and popular to the customer. Remittance of funds means sending money from one place to another, Money Order, Telegraphic Money Order through Telegraphic/ Post Office are the common method of sending small amount. But for larger amounts banks provide this facility to its customers by means of receiving money at one branch of the bank and arranging for payment in another branch within/ outside the country. This facility is extended to its customers to enable them to avoid risk arising out of theft, loss, etc. in carrying of cash money from one place to another for making payment to some one at some other places or to utilize themselves at some other places. This is an instrument issued by the branch of a bank for enabling the Customer/ purchaser to pay certain amount of money to the order of a certain person/ firm/ organization/ office within the same clearing house area of the pay order issuing branch. The payment order is used for making a remittance to the local creditor. As prevalent, the payment orders are in the form of receipts, which are required to be discharged by the beneficiaries, where applicable on revenue stamps of appropriate value, against payment in cash or through an account. The payment order is not a negotiable instrument and cannot be endorsed or crossed like a banker’s draft. b) Applicable for payment with the clearing house area of the issuing branch. c) This is may be open or can be crossed. a) Obtain P.O. application form duly filled in and signed by the purchaser/applicant. b) Receive the amount in cash/transfer with commission amount. b) Enter in P.O. Register, give contra entry. c) Debit if found ok for payment. ü A draft is always an order and never a ‘bearer’ instrument. ü It is a negotiable instrument like a Cheque i.e. it can be endorsed, collected, and delivered to the endorsee. ü D.D. may be issued to any person and it can also be issued in favor of a firm, company or local authority on written request duly signed by the purchaser. ü The purchaser is asked to complete the press-ribbed form, which is treated as an application as well as credit voucher. ü If against cash- the application is given to the customer to deposit the cash with the cashier. ü Voucher (Application form) passed duly signed & sealed is delivered to remittance department for preparation of DD. The application for remittance is to be signed by the drawer of Cheque. 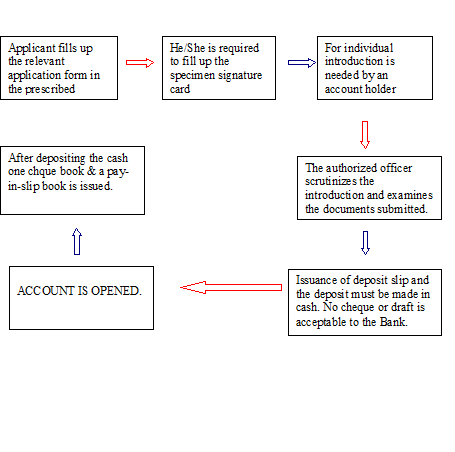 Applicant fills the form of the bank È DD is handed over the customer where name of paying bank and the bank from where payment will be made are mentioned.È Copy of DD along with the advice is send to the Paying Bank È DD comes to bank on which it is drawn the bank honors it. (i) Preparation of IBCA and dispatch. 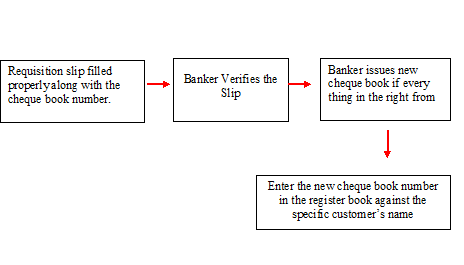 After Receipt of IBCA: The IBCA received from issuing branch is responded by the drawee branch and then this becomes voucher. Dr. General A/ C- Drawer Br. Cr. Bills Payable A/c-D.D. Payable. Particulars of DD is entered in D.D. Payable Register under initial of an officer. It is an instruction duly tested sent by telex/fax/telegram/ telephone/ express mail etc. to the drawee branch for paying a certain sum of money to a specified person. This mode of transfer of fund may be effected at the written request an account holder of the branch and against value received from him. It is preferable to obtain a confirmatory cheque from the customer. ü Remittance / transfer of money is done through tested tele messages. ü Remittance is effected on the basis of tested message. ü Test key apparatus is required. Obtain T.T. application form duty failed in and signed by the purchaser/applicant with full account particulars of the beneficiary. Receive the amount in cash/transfer with prescribed commission, postage, and telephone/telex charge. Prepare T.T. message inserting test number (code number). Enter in T.T. issue register. Issue advice to the payee branch. Cr. : Income A/C – Commission on T. T.
T. T. message prepared in duplicate, checked and signed by the in charge and Manager, tested and transmitted. IBCA prepared in duplicate. The original sent to paying branch as confirmation of message. In the prescribed format the purchaser / the drawer branch instruct the drawer branch to pay a specified sum of money to the payee named in the IBCA preferably by crediting his account. ü M.T. advice in IBCA (in block letters) with Test. Traveler’s Cheques are issued by the banks to the people going abroad the risk of loss or inconvenience in carrying cash while traveling. The purchaser has to fill Travel & Miscellaneous Form (TM) prescribed by Bangladesh Bank. Bangladesh Bank gives particulars of the Passport, confirmed Ticket, Airline and the destination. While issuing TCs the purchaser is required to sign the TC in the prescribed place in presence of the issuing Teller and again countersign on same at another prescribed place at the time of encashment before encashing / Paying banker abroad. The Paying cashier will tally both the signatures and if they agree, he will make payment of the TC. TCs of reputed Companies/ Banks are universally accepted for payment at all important financial centers and big cities of the world. American Express Bank Limited’s Traveller’s Cheques are issued by the ONE Bank Limited, Gulshan Branch. i) The buyer of T.C. needs not to be a customer of OBL. ii) The buyer has to deposit money with the branch of OBL equivalent to the amount of the T.C. he wants to buy. iii) Each T.C. is signed by the buyer at place marked “when countersigned below with this signature”, before the OBL Officer. iv) T.C. is issued in single name .It is not issued in joint names or names of clubs, societies and companies. v) There is no expiry period for the T.C. The above Table 1 and the Figure 8 represents the Total Value of Remittance (Outward) of ONE Bank Limited, Gulshan Branch from the period of January 2005 to the half year ended in June 2007. During this period of 2 and half years, it shows that the Outward Remittance has increased gradually in 2006 compared to 2005. But the half year end of 2007 shows the value of Outward Remittance has decreased. The above Figure 9 shows the Outward Remittance of the year 2005. The Table shows that the months from July to December, the value of Remittance is greater than the figures of the months from January to June. The later half of the year experienced greater amount of Outward Remittance which indicates that there were more remittance than the earlier months. The above Figure 10 shows the Outward Remittance of the year 2006. When compared to the figures of 2005, the trend of 2006 is not similar than the previous year. The chart portrays that, the month’s experienced uneven distribution of Remittance. Some months shows very high amount of Remittance, whereas some months showed comparatively less figures. The above Figure 11 shows the Outward Remittance of the half year end of 2007 from the period of January to June. ONE Bank Limited, Gulshan Branch rendered more amount of Remittance in the month of January and April, whereas the other months had less amount of Outward Remittance. The above Table 2 and Figure 12 represents the Total Value of Remittance (Inward) of ONE Bank Limited, Gulshan Branch from the period of January 2005 to the half year ended in June 2007. During this period of 2 and half years, it shows that the Inward Remittance has decreased in 2006 compared to 2005. But the half year end of 2007 shows the value of Outward Remittance has increased and at the year end of 2007, probably the amount of Remittance can increase. Due to the downfall of the economy in the period of 2006, there were less Inward Remittance, but as the Economy of Bangladesh is developing, the amount of Remittance is also increasing. The Inward Remittance is considered Positive for the economy as people are remitting money into the economy both from local and abroad. The above Figure 13 shows the Inward Remittance of the year 2005. The Table shows that the months from July to December, the value of Remittance is greater than the figures of the months from January to June. The later half of the year experienced greater amount of Inward Remittance, which indicates that there were more remittance than the earlier months. The above Figure 14 shows the Inward Remittance of the year 2006. When compared to the figures of 2005, the trend of 2006 is not similar than the previous year. The chart portrays that, the month’s experienced uneven distribution of Remittance. Some months shows very high amount of Remittance, whereas some months showed comparatively less figures. The amount of Inward Remittance is less in the year 2006 than the amount of 2005. The above Figure 15 shows the Inward Remittance of the half year end of 2007 from the period of January to June. ONE Bank Limited, Gulshan Branch is experiencing more amount of Remittance and the trend is increasing month wise. Every month experienced greater volume of Remittance figures and this to due to the Economic Development observed in Bangladesh. More and more Inward Remittance portrays better growth for the economy and it can be forecasted that by the end of year 2007, the amount of Inward Remittance will be much greater than the earlier years (2005 and 2006). ü A person who desires to get an ATM Card should open an ATM Account in the bank. ü An ATM form supplied to the customer specifying the account, which includes information such as Name of the account, Account number, Address, Telephone No etc. ü After filling the form the officer verifies the form. ü Jointly an ATM account can be opened. ü Then the client is supplied a deposit slip to deposit the cash. ü Then the client gets an ATM/Debit Card. ü At the applicant’s request the Bank may issue the cardholder a card and PIN if the applicant is a depositor of the Bank and remains an account at any bank. ü The cardholder will pay such charges and fees for the provision of the card and /or PIN as the Bank may prescribe from time to time. ü Holders of Valid E-Cash ATM/Debit are eligible to enroll for the utility bill payment service using the card and/or PIN, POS or other payment terminal. ü All transactions including utility bill payment initiated by the use or purported use of the card shall be debited from the cardholder. ü A cardholder can withdraw from his account Tk 20,000 per day. But by inserting a card at a time no cardholder can withdraw more than Tk 2000. Tk. 1500/- annual fees for each Card. ONE Bank Limited branches are connected through the online banking facilities. The transactions of a particular bank are transmitted through the Micro-Bank software from INFLEX Solutions to the Head Office, where every data is stored in the database. Real-time On-line Any branch Banking for the clients is used to facilitate the clients to deposit / draw or remit funds to and from their accounts, from one bank to another. Meanwhile, for the Smooth operation and efficient functioning of the system they have completed the proper training to the related personnel. All the Branches and the Head office come under the umbrella of on-line any branch-banking network, which have been used for some years of operations. Customers of one Branch of OBL are able to make transaction like cash withdrawals and deposits, electronic fund transfer, balance inquiry, account statements etc. from any of the OBL Branches under the umbrella of Online Banking across the country. ONE Bank Limited branches have the facility of locker service for the purpose of safe guarding the valuable property of customers. The person or organization that has any account in bank branch can enjoy this service. They keep their valuable assets in banker’s custody. Customers have right to look after with a key of their individual lockers provided by bank. ONE Bank Limited, Gulshan Branch also provides locker services to its clients. The lockers are available at different sizes and the price is fixed according to the sizes preferred by the clients. On receipt of the LCA Form and the other documents, the branch officials carefully scrutinize the documents and lodge the same in their respective registration books and duly verify the signature of the importer put on the LCA Form. Registration Unit of Bangladesh Bank. After getting the LCA registration, a person becomes a qualified importer. He is the person who requests or instructs the opening bank to open an L/C is also called the “Opener” or “Applicant” of the credit. 3.2.1.3.1.1 Revocable Letter of Credit (L/C). 3.2.1.3.1.2 Irrevocable Letter of Credit (L/C). If any Letter of Credit (L/C) can be amendment or change of any clause or canceled by consent of the exporter and importer is known as Revocable Letter of Credit (L/C). A Revocable Letter of Credit (L/C) can be amended or canceled by the issuing bank at any time without prior notice to the beneficiary. It does not constitute a legally binding undertaking by the bank to make payment. Revocation is possible only until the documents have been honored by the issuing bank or its correspondent. Thus a revocable credit does not usually provide adequate security for the beneficiary. If any Letter of Credit (L/C) cannot be changed or amendment without the consent of the importer and exporter is known as Irrevocable Letter of Credit (L/C). Irrevocable Credit constitutions a firm undertaking by the issuing bank to make payment. It therefore, gives the beneficiary a high degree of assurance that he will pay to his goods or services provide he complies with terms of the credit. A Letter of Credit (L/C) is issued by a bank at the request of an importer in favor of an exporter from whom he has contracted to purchases some commodity or commodities. 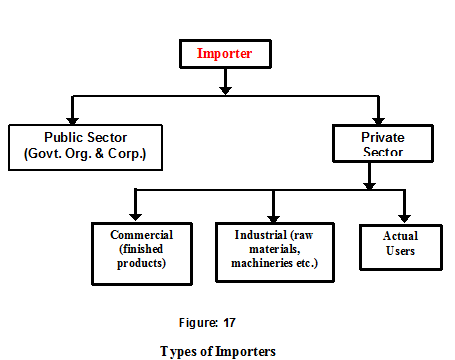 The importer, the exporter and the issuing bank are parties to the Letter of Credit (L/C). There are however, one or more than one banks that are involved in various capacities and at various stages to play an important role in the total operation of the credit. The opening Bank is one that issues the Letter of Credit (L/C) at the request of the buyer. By issuing a Letter of Credit (L/C) it takes upon itself the liability to pay the bills drawn under the credit. If the drafts are negotiated by another bank, the opening Bank reimburses that Bank. As soon as the opening Bank, issuing a Letter of Credit (L/C), it express its undertaking to pay the bill or bills as and when they are drawn by the beneficiary under the credit. When the bills are presented to or when antic is received that bills have been presented to a paying or negotiating Banks its liability matures. known as the Advising Bank. The Advising Bank undertakes the responsibility of prompt advice of credit to the beneficiary and has to be careful in communicating all its details. The importer at whose request a Letter of Credit (L/C) is issued is known as the buyer. On the basis of strength of the contract that he makes with the exporter for the purchase of some goods that the Letter of Credit (L/C) is opened by the opening bank. The exporter in whose favor the credit is opened and to whom the Letter of Credit (L/C) is addressed is known as the beneficiary. As the seller of goods he is entitled to receive payment, which he does by drawing bills under the Letter of Credit (L/C). As soon as he has shipped the goods and has collected the required documents, he draws a set of papers and presents it with the documents to the opening bank or some other bank mentioned in the L/C. The paying bank only pays the drafts drawn under the credit but under takes no opening bank, by debating the latter accounts with it if there is such an account or by any other measured up, between the two bankers. As soon as the beneficiary has received payment for the draft, he is out of the picture and the rest of the operation concerns only the paying bank and the opening bank. The negotiating bank has to be careful in scrutinize that the drafts and the documents attached there to are in conformity with the condition laid down in the L/C. Any discrepancy may result in refused on the part of the opening bank to honor the instruments is such an eventuality the negotiating bank has to look back to the beneficiary for refund of the amounts paid to him. Sometimes an exporter stipulates that a L/C issued in his favor be confirm by a bank in his own country. The opening this country to add its confirming to the credit the bank confirming the credit is known as the confirming bank and the credit is known as confirmed credit. Banks normally issued letter of credit (L/C) on forms, which clearly indicate the banks name and extent of the banks obligation under the credit. ü Shipment from………………. to………………by Sea/ Air/ Road, etc. endorsed to the order of ONE Bank Ltd.
ü Signature of Applicant and Account No. At the back of the L/C, the officials of ONE Bank Limited, Gulshan Branch will fill up the spaces specified in the Form. Æ Telex/ Cable Charges/ Postage Tk. Æ Total Amount in Tk. As soon as the seller /exporter receives the L/C and is satisfied that he can deliver the goods mentioning in the L/C he is going to make shipment of the required goods to the buyer and after that, he presents the documents evidencing dispatching of goods to the negotiating bank on or before the stipulated expiry date of the credit. After receiving all the documents, the negotiating bank then checks the documents against the credit. The documents are sent to the issuing bank i.e. OBL and the bank will scrutinize all the documents and terms and conditions mentioning in the L/C. ü The documents should have been negotiated or presented before expiry of the credit. ü It has to be verified that the commercial invoice has been properly drawn and signed by the beneficiary according to the terms and conditions of L/C. ü The beneficiary should properly invoice the merchandise. ü The merchandise is invoiced to the importer on whose account the L/C is opened. ü The description of merchandise & the unit price correspond with that in the L/C. ü The import license or IRC number of the importer, indenters’ registration number and Letter of Credit Authorization number are incorporated in the Invoice. ü It has to be verified that the bill of exchange has been properly drawn and signed by the beneficiary according to the terms and conditions of L/C. ü The amount in the Bill is identical with amount mentioned in the invoice. ü The amount drawn does not exceed the amount mentioned in the L/C. ü The amount in words and figures should be same. ü The bill of exchange should be properly endorsed. ü First, it has to be cleared that the Bill of Lading is showing “Shipped on Board” and it has to be properly endorsed to the bank. ü The B/L should include the description of the merchandise according to invoice. ü The port of shipment and destination, date of shipment and the name of the consignee are in agreement with those mentioned in the L/C. ü The shipping company or their authorized agents properly sign the B/L. ü The date on the B/L is not ‘stale’ which means it is not dated in unreasonably long time prior to negotiation. ü Is the insurance documents specified in the credit submitted? ü Does the insurance cover the risks mentioned in the credit in the currency of the credit and for the prescribed amount but not less than CIF value? ü Is the insurance documents dated not later than the shipping documents? ü Does the insurance policy/Certificate agree with other documents as regards description, weight & marks of the goods, mode of transport & the route? ü Does the insurance company attached and as far as necessary, endorsed issue all the copies? ü The Merchandise described in the Certificate is in accordance with the L/C. ü The terms and conditions of the L/C must be complied with UCPDC 500 and Exchange Control & Import Trade Regulation. ü The L/C must not be opened in favor of the importer. ü Radioactivity report in case of food item. After giving the message to the advising bank, the bank keeps Margin on total L/C value. Normally the margin is kept 40 % or it is based on banker customer relationship or based on goods imported. This section will be focused on the operations and the documentation process carried out by the ONE Bank Limited, Gulshan Branch. Since this report is concerned about the activities of Gulshan Branch only, therefore the findings are provided on the perspective of Gulshan Branch. In Gulshan Branch, the Foreign Exchange department maintains or opens Letter of Credit known as L/C in 8 categories. Total Cash L/C. The payment is made at site and the Master L/C is taken into Lien at the time of opening. This particular category is not applicable for any Back to Back L/C. This sort of L/C is opened without having any Master Export L/C into Lien. Local Back to Back L/C. Any L/C opened for shipment within the boundary of the country. It is opened against lien of Master Export L/C. Ready Made Garment Industries usually open this type of L/C. Foreign Back to Back L/C. Any L/C opened for shipment outside the boundary of the country. L/C opened only for shipment to the Dhaka Export Processing Zone (DEPZ) and Chittagong Export Processing Zone (CEPZ). L/C opened for only capital machinery and any other commodity is not considered in this category. Local L/C opened in Taka. Payment is made only in local currency. In this type of L/C, the margin may or may not be considered at the time of opening. Depending on the client’s interaction with the bank, the margin is considered. The serial of the L/C is given according to the branch, year and the category of the L/C. ² The branch code of Gulshan. Any category of L/C opened in Gulshan Branch, will contain this code. This code is always is fixed. contain the second code, opened in a particular year. This number indicates the category of the L/C. Different category of L/C will have its specific code. ² This number indicates the serial number under a specific category of the L/C.